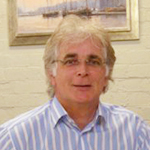 Hi, I am John de Haard, Managing Director at HealthStaff Recruitment and founder of the Australian Nursing Awards. For the last 20 years we are the most successful healthcare recruitment experts in Australia. We present you with access to the widest range of positions for GP’s, Medical Specialists and Registered Nurses throughout Australia, New Zealand and UK. We will do our best to help you change your life for the better and find the position that’s the best fit for your skills and experience. We will guide you every step of the way! Both Ruth and I just wanted to say thank you so much for all of your help and guidance along the way. The whole process has been made so much more pleasant, easygoing and informative dealing with yourself, and also we would like to say thank you to your colleagues who were also most helpful. Just to add as well that the process has not in any way felt stressful, and has gone very smoothly for us because of the service we have received. 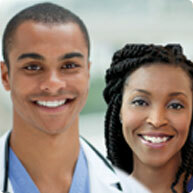 Read more testimonials on why health professionals choose our services…. HealthStaff Recruitment is a preferred service provider to most Hospitals across Australia for Registered Nurses, General Practitioners, Hospital Doctors, Dentists, Medical Imaging Technicians and other Allied Health Professionals.